Machine Learning and AI (artificial intelligence) course for kids and youth (teens) is a program that teaches the Machine Learning and AI (artificial intelligence) tools that can be used for building intelligent machines. Students learn SciPi, OpenCV, and TensorFlow in this level. This is a great program for high-schoolers and middle-schoolers, that already have good Python Programming knowledge. Machine Learning is the science of computers learning to act without being explicitly programmed. For example, a self-driving vehicle can learn how the human driver is driving and then drive just like him/ her. Or when a cucumber sorting machine learns from humans how the cucumbers are sorted and then goes on to perform the task. Today, Machine Learning is being considered the biggest new step in computer science after the invention of the Internet. Not surprisingly, it is expected to change every industry and many jobs are expected to become obsolete because of advances in this sphere. It is not an exaggeration to say that Machine Learning is changing the world as we speak. With abundant data available for training machine-learning algorithms, these algorithms are getting exponentially smarter. Take for instance, Google’s machine learning-based language translation feature; it has had more improvements in the last one year than the last 10 years put together. One can only imagine the magnitude of improvement we shall witness in the coming years. Also, with advances in Machine Learning, machines are expected to completely replace human drivers in the future as it will be cheaper, more reliable and safer to have machines drive. Machines don’t get tired and will provide consistent operation all the time. It is important to note that the transport sector is currently one of the world’s largest employment sectors; it accounts for around 10 percent of the world’s working population. With machines doing the driving, these jobs may not exist anymore. Additionally, you may have noticed that over the last one year, ATM machines have gotten exceptionally accurate at reading your checks and identifying the correct amount even when the check is not legibly written; this is thanks to machine learning at work. Earlier, ATM machines scanned the checks and the machine would ask you to specify the amount. It compared the scanned text and the amount you entered on the machine and over time learnt how to read letters in different handwritings. Now it can reliably read almost anything. If it has a hard time reading a check, it will ask you for the amount just like before and it will learn it at the same time; this means that the next time around, similar handwriting will also be accurately read by the machine. Thus, bank employees will no longer be needed to verify checks. When the kids of today become the youth of tomorrow, there is a high probability of there being no field left untouched by Machine Learning and Artificial Intelligence (AI). 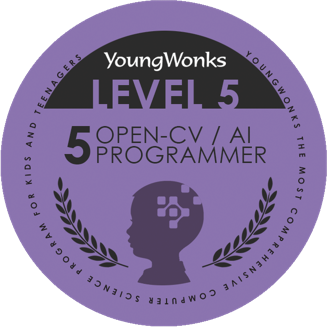 All of which makes it very important for us to ensure that our kids are well versed in both Machine Learning and Artificial Intelligence.